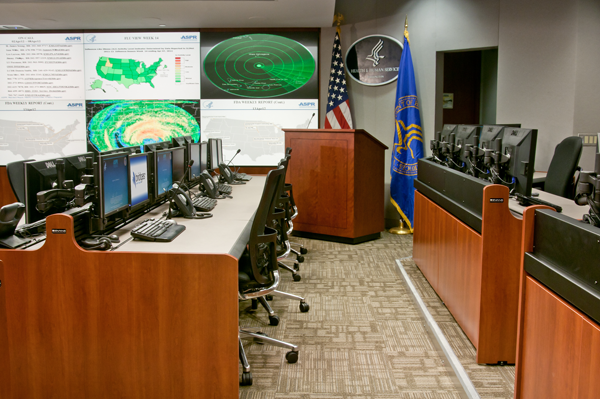 The Health and Human Services, Assistant Secretary for Preparedness and Response (ASPR) department, required a state-of-the-market solution to inform the Executive branch and promote real-time decision making. 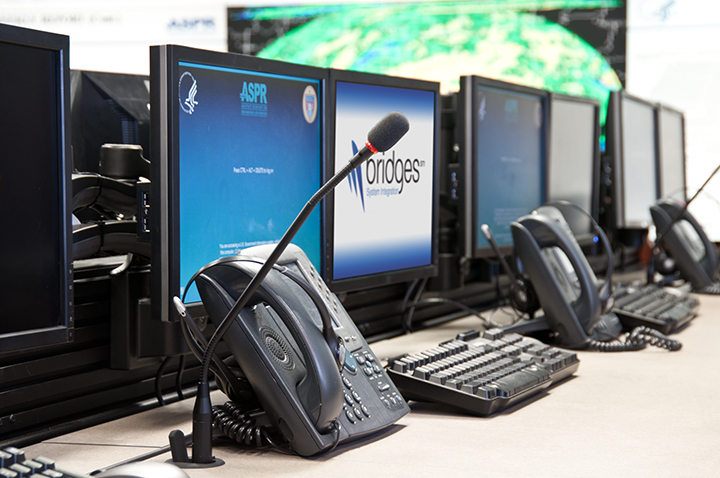 Initially, ASPR selected Bridges SI to renovate and upgrade their video wall. However, after further discussions regarding their ever-changing mission requirements, ASPR expanded the project to encompass environmental and enterprise enhancements as well. 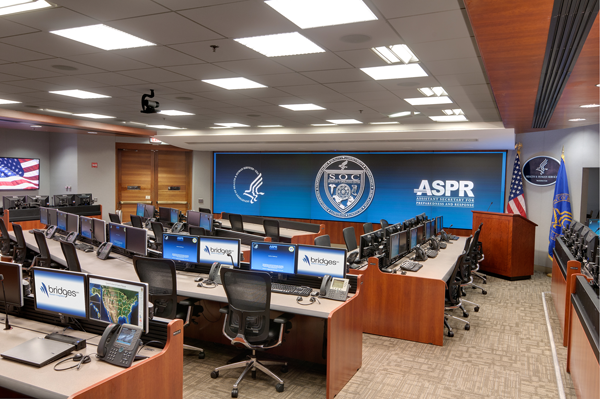 ASPR leadership began working with the Shape practice with the objective of maximizing the efficiency of the floor plan with a high-density furniture plan. Bridges SI provided numerous layouts meeting the objective while also enhancing the technology by factoring in sightlines and camera angles. After the furniture plans options were streamlined, Bridges SI created a 3-D rendering to assist ASPR in making an informed final decision. With the 24/7 rated consoles and maximized space plan determined, Bridges SI set out to create an environment leveraging the technology for maximum performance. Considerations included task, presentation and videoconference lighting, sound paneling raised access floor and millwork with finishes that contributed without distracting from the conversation. The centerpiece of the Operations Center is the 5×2 LED video wall. The new cubes are high-definition (16:9 aspect ratio) and feature maintenance-free operation. Video cubes are the only technology that are truly designed for 24/7 applications and feature no lamps or filters. The LED engines are liquid cooled and feature sensor technology to provide uniform brightness and stability across the entire wall. The video wall appears nearly seamless with a mullion (space in between the cubes) of less than 1mm. Each of the 44 workstations can push content onto the wall or onto any of the nine supplemental displays. 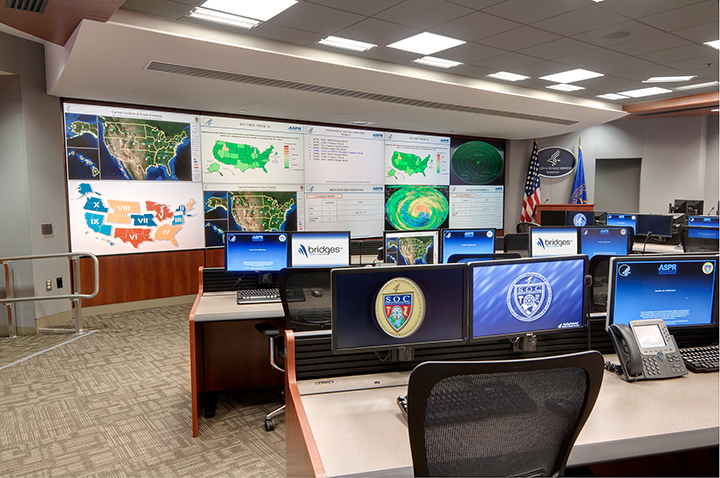 The perspectives are user-definable and include any number of sources providing ASPR a comprehensive picture with streams of real-time data, therefore assisting leadership in making key decisions supporting their department. The system is completely scalable, as the backbone of the distribution is entirely IP-based, thus has none of the typical restrictions associated with fixed matrix switchers. The Operation Center hosts their daily staff meetings of approximately 20 persons, but in a crisis surge that number can more than double. 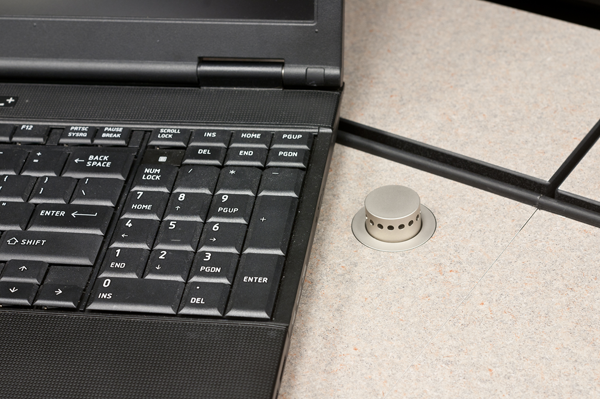 As such, developing an automated system that can direct the system was critical. The command and control center has numerous presets to accommodate the occasional user and the flexibility to serve even the most advanced technologist. 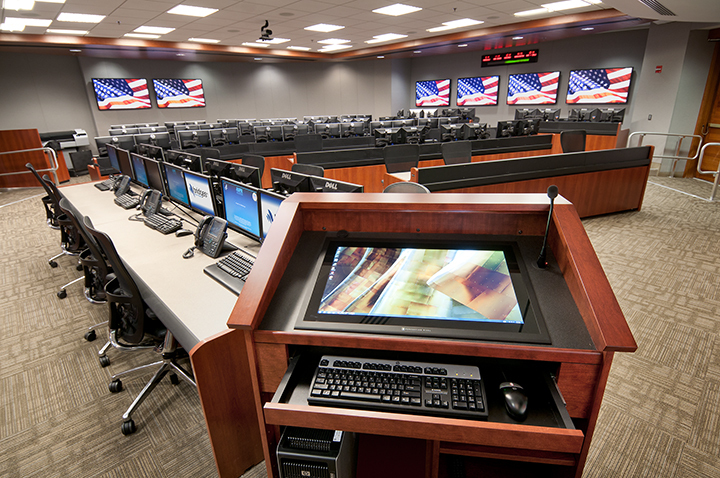 Members of the Senior Executive Service and other senior leadership benefit by receiving the stream of information collected and displayed on the knowledge wall through the distributed IP-video system. While any approved network workstation (local and external) can view the information, departments that do not share the network can collaborate via infrastructure providing firewall traversal, videoconferencing management, and multi-site capabilities for both IP and legacy Integrated Services Digital Network (ISDN). The Unify practice enables the investment ASPR has made in video and data sharing to be realized on enterprise scale. Command and Control, by its nature, requires 99% uptime. The Sustain practice of Bridges SI provided a comprehensive support program developed to log and manage issues, including preventive and responsive tasks. A user guide was written in concert with the end-users, ensuring the staff was comfortable with the terminology and best-practices tailored to their organization. Regularly scheduled trainings and maintenance provide ASPR with the comfort and knowledge preparing them to meet challenges ahead.